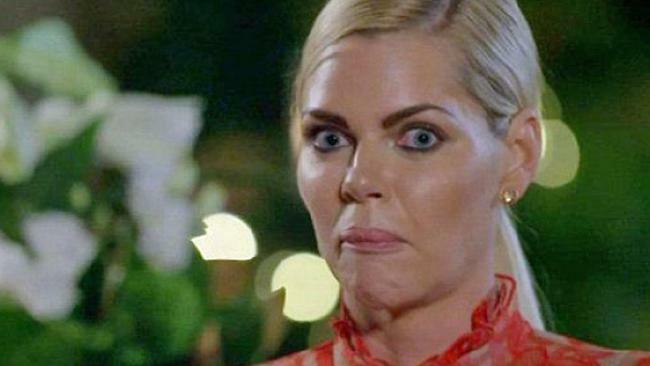 Sophie Monk and Bachelorette winner Stu Laundy received a very awkward text after the finale. 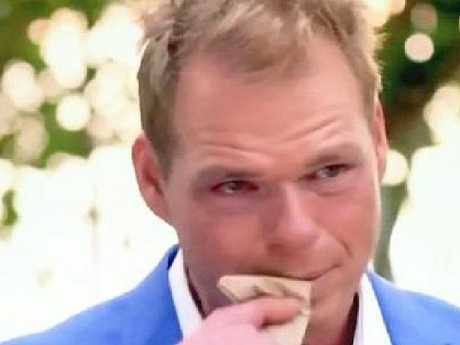 AS IF the cringe-worthy breakup between Sophie Monk and Jarrod Woodgate wasn't bad enough, the Bachelorette has revealed the unbelievably uncomfortable moment that played out right after the finale aired. In Thursday night's episode, Sophie chose millionaire Stu Laundy over the love struck vineyard owner, leaving him sobbing on a beach in Fiji. Ahead of the post-finale publicity rounds, all three of them were put up in the same Sydney hotel overnight - and things got very, very awkward. Speaking to Kyle and Jackie O this morning, new couple Sophie and Stu revealed that Jarrod had been put into a room directly across the hall from them. "He texted me at one point and said 'I can hear you,'" Stu admitted. Sophie added: "Stu wanted to go see him!" It was a problem they managed to avoid in the immediate aftermath of Sophie and Jarrod's breakup, with the runner-up revealing in an earlier interview with the KIIS hosts that he'd been shipped off to another island immediately afterwards. "There was an ocean between us," he explained sadly. Despite the initial awkwardness, the former Bardot star and her new boyfriend have been over the moon to finally be able to take their love public. And while they may be head over heels now, Sophie revealed that when she first met Stu in Sydney prior to signing up for the show, she was wildly unimpressed. Stu explained that he'd invited her on to his dad's boat, but "Soph was a no-show." "I thought he was a douche!" Sophie said. "Usually the guy who invites you on a boat is that kind of guy ... but he's not that guy at all." Sophie’s decision to choose Stu surprised approximately no one. Picture: Justin Lloyd.